Hip Hop International founded in 2000 and based in Los Angeles is the producer of multiple live and televised street dance competitions. Among them are MTV’s Randy Jackson presents America’s Best Dance Crew, the USA Hip Hop Dance Championship, the World Hip Hop Dance Championship, the World Battles and Urban Moves Dance Workshops. 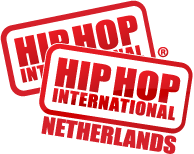 Hip Hop International is recognised in more then 100 countries by its broadcast on MTV and other international networks. Hip Hop International is represented by official licensees throughout the world who respect the origins of hip hop and who conduct their events and competitions under the auspices of Hip Hop International and who qualify street dancers and dance crews to represent their country in Hip Hop International’s World Hip Hop Championship and World Battles: Bboy, Popping, Locking and All Styles. & The World Hip Hop International Battles.